Almost two years ago, I was in Arizona supporting a ballot initiative to legalize marijuana there. I learned that the largest contributor in opposition was the Catholic Church. A prison food service industry, supporters of privatized prisons was a close second. Why? The fewer people in prison, the fewer meals they would be able to sell. I don’t agree with the Catholic position on marijuana, but at least I can understand where it comes from: Catechism 2291 opposes all drug use “except only on strictly therapeutic grounds.” (Presumably that includes alcohol and cigarettes.) I am far less sympathetic to the privatized prison industry, and its suppliers. At the end of the day, it is greed that drives their bottom line. Above all else, Jesus opposed “hard-heartedness.” Surely all people of good faith excoriate all those who profit from human misery. Since our founding three years ago, Clergy for New Drug Policy has pursued an agenda that would end the War on Drugs. The privatized prison industry thrives, indeed, depends upon mass incarceration, driven in no small measure by harsh drug laws. That is why today we are adding opposition to privatized prisons to the CNDP agenda. In 2015 twenty-one states had contracts with private prisons. Texas leads all states with about 14,000 incarcerated in prisons owned or run by corporations. Florida, Georgia, Oklahoma, and Arizona all have more than 7,500. Six states have banned the use of private prisons since 2000. Launched in 1983, the private prison industry peaked in the mid-1990s after President Clinton dramatically increased federal funding for prison construction. The industry’s power was on the decline after 2010 in the face of national concern about the costs of mass incarceration, and was on the verge of disappearing in August 2016, when the Obama administration issued a memorandum terminating federal use of private prisons. The industry has found new life, however, in the “law and order” stance of President Trump and Attorney General Jeff Sessions. Their desire to reinvigorate the private prison industry was no secret. On November 9, 2016, the stock of CoreCivic, formerly the Corrections Corporation of American, rose by 20%. 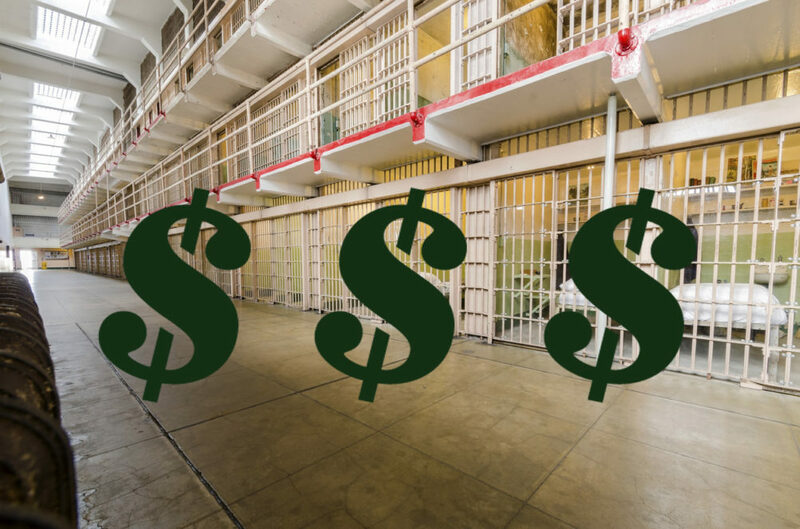 The value of the two biggest private prison providers doubled in the six months after election day. The highly volatile industry has demonstrated its ability to adapt, like a virus, to new markets. Responding to national policy criminalizing immigrants, it began to build detention facilities for this population. The private prison industry now manages 62%—over 350,000 individuals—of all beds in detention facilities run by ICE. Government Accounting Office studies have never substantiated the industry claim that it cuts costs and operates more efficiently than publicly-operated prisons. Nor is it difficult to find horror stories of poorly trained and unsupervised staff contributing to violence within prisons. The industry works with the American Legislative Exchange Council (ALEC), a nonprofit trade group through which conservative state legislators and corporations develop model legislation that is shared and often adopted by states. “Three strikes” laws and mandatory minimum sentences with virtually no opportunity for parole are among ALEC’s legislative products. For several years, a leader of the for-profit prison industry was the chair of the ALEC’s policy task force. The most compelling argument against private prisons is that investors gain only when individuals are put in jail. The industry is driven by the financial incentive toward punishment that destroys individual lives. It is a lobbying force that shapes our “culture of punishment” by pushing national policy toward greater mass incarceration. Clergy for a New Drug Policy endorses the abolition of the privatized prison industry and the termination of all state and federal contracts with for-profit companies for the building of prisons and the housing of prisoners. We urge you to join us in this goal and will provide you with opportunities to make your voices heard in the months ahead.